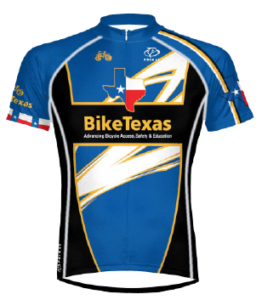 At the Texas Legislature and at the U.S. Congress, the Texas Bicycle Coalition represents the interests of Texas bicycle dealers and distributors in addition to bicycle advocacy and educational project. In Texas’ regular legislative session in 2011, Complete Streets passed in both the House Transportation Committee and the Senate Transportation and Homeland Security Committee. Unfortunately, it did not pass through the House or Senate before the session ended, so Complete Streets will not be passed into law. We will have to try again in 2013. The first attempt was made at addressing the development of multi-use walking and biking trails along utility easements in Houston and El Paso with HB 1943. Other bills were introduced that would have had similar impact state-wide. There are still many questions as to whether absolving from liability the owners and/or operators of utility rights-of-way is the best way to have the trails come to fruition, however, by focusing on a limited area to start, there would have been time to see if such a law promotes any unintended negative consequences. BikeTexas also fought off a helmet requirement bill, instead helping to draft a rear light requirement bill that also clears language about a light being acceptable on the rider instead of just on the bicycle. In Texas’ regular legislative session in 2009, the Safe Passing Bill was filed in the Senate by Rodney Ellis (D-Houston) and Chairman John Carona (R-Dallas) as SB 488 on January 15th, and the companion bill was filed in the House by Linda Harper-Brown (R-Irving) as HB 827 on January 27th. In Texas’ regular legislative session in 2007, the Safe Passing Bill co-authored by Senator Rodney Ellis and Chairman John Carona, made it through 90% of the legislative process but only 23% of the 6,190 bills that were filed in 2007 made it through the legislative gauntlet. Although cyclists were disappointed that we did not get the three feet minimum passing clearance passed into law in 2007, it was substantially more successful than in the 2005 session. Federal Safe Routes to School (SR2S) set to pass with $90 million awarded to Texas. At least 120 Texas schools will benefit from SR2S traffic safety improvements. Achieved highest-ever federal funding levels for safe bicycle/pedestrian facilities. The Texas legislature passed legislation creating the “Share the Road Y’all” Special License Plate. Since they became available to the public in April 2004, the plate, bearing Lance Armstrong’s likeness, has been a hit, with hundreds sold. Stopped Senate Bill 238, anti-bike legislation, from passing through the Texas Legislature where upon Texas State Senator Jeff Wentworth fully acknowledged the power of the Texas bicycle lobby to the press. Passed the Matthew Brown Act, authorizing TxDOT to create and administer a SR2S program. Blocked House Bill 2337 that would have prevented mountain bike trail volunteers from working on trail maintenance. TxDOT awards $63.7 million for bicycle & pedestrian projects, the largest allocation to date for the Transportation Equity Act – 21st Century (TEA-21) spending. 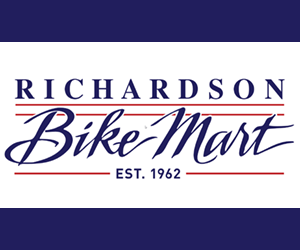 Legislation awarded $2.5 million in funding for the Share the Road campaign and increased TxDOT support of bicycles. We mobilized support for TEA-21. BikeTexas worked to pass legislation requiring bicycle safety curriculum for Texas schools. That same session, legislation gave cyclists the right on roadway maintenance shoulders and legalized the right hand signal for right turns. A statewide Bicycle Coordinator position, a Bicycle Advisory Panel, and District Coordinators were all created within TxDOT.